Nature's Lab Organic Maca Root Powder is a concentrated source of several vitamins, minerals, and nutrients in an easy-to-use form. * Historical use of Maca root by humans goes back thousands of years to the Andean highlands, where ancient Incans including their warriors, thrived on its vitamins, minerals, amino acids, and fiber. The use of maca root by humans goes back thousands of years to the Andean high mountains, where ancient Incans thrived on its vitamins, minerals, amino acids and fiber. It grows at altitudes above 10,000 feet where little else survives. 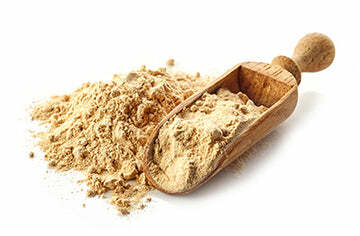 Maca root has been used as a stress-fighting adaptogen to increase stamina, boost libido, and combat fatigue. Nature's Lab Maca Root is gelatinized, certified organic, non-GMO, gluten-free, and vegan-friendly. More recent scientific data suggests that "gelatinized" maca may help support healthy sexual activity and fertility in men. Gelatinization is an extrusion process that removes starch from maca, thus concentrating the active ingredients. Most studies indicate a serving should be a minimum of 3,000 – 3,500 mg to gain optimal benefits. A teaspoon of Nature's Lab 100% pure, gelatinized maca powder provides 5,000 mg. A versatile addition to many snacks and meals, Nature's Lab Organic Maca Powder is easy to incorporate into your daily health regime! Maca can be added to smoothies and juices as well as soups, energy bars, oatmeal, baked goods, and even cereal. Try maca today and experience the full benefit of this Peruvian wonder.